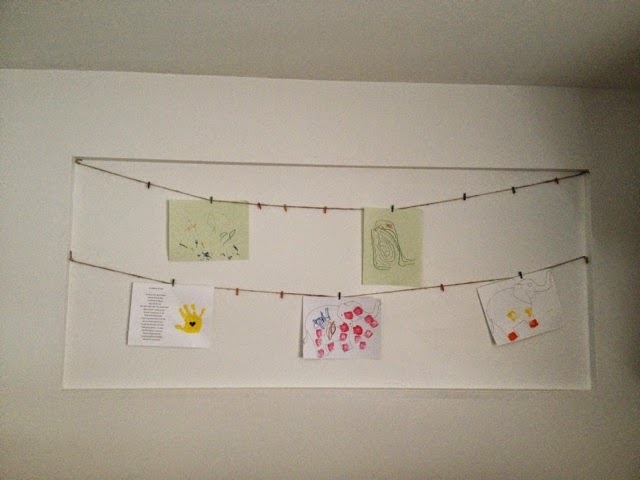 One thing that has been on my to-do list for awhile (like, since we moved in 6 months ago) was to create a little area to show off all of the kids' artwork. 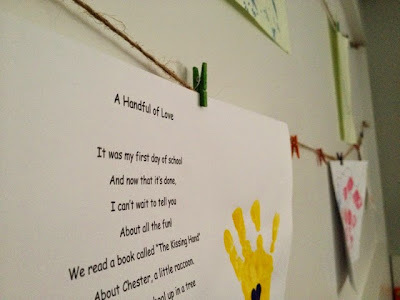 We have the perfect spot in the playroom, on the east wall. 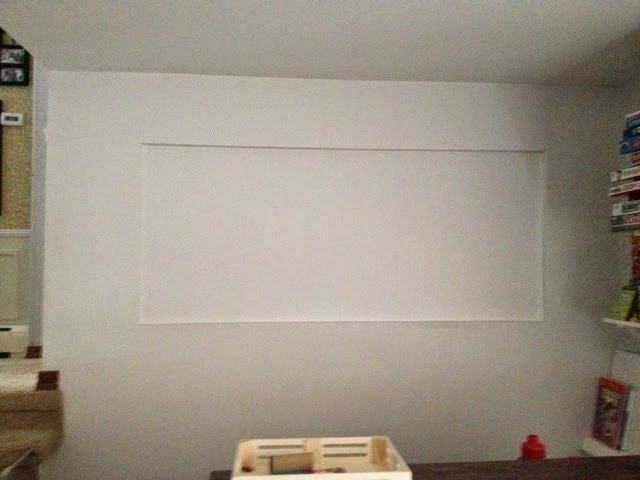 It's a part of the wall that used to be open, looking into the kitchen/living area. The previous owners filled it in (thankfully) but it isn't flushed with the rest of the wall and is inset by about an inch. A perfect frame if you ask me! 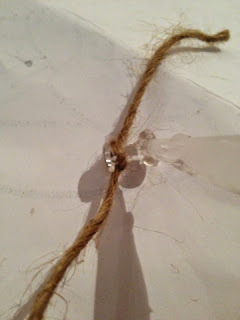 First, I measured how long I needed the Jute string to be and cut it. Then, I tied each end to a pushpin. 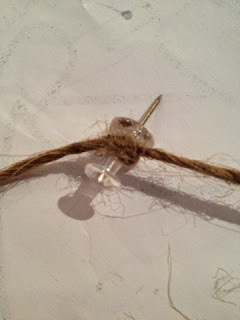 Slide the knot back and put a layer of super glue around the base of the pushpin, where the string will sit. Try your best not to super glue your fingers. Slide the knot down to where the layer of super glue is. 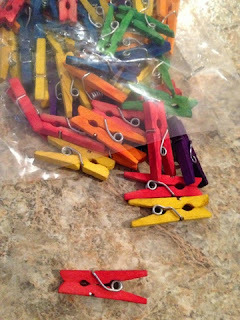 Let them sit and dry, at least an hour. I used pushpins because of the thinness of the wall. If you're hanging on a thicker wall, go ahead and use nails. How do you show off your little artist's work? Let's see it! New year, new beginnings? Have we been here before? Déjà vu anyone? Now, I am kinda, sorta, a little against New Year's Resolutions. Why, you ask? Well, I feel that you shouldn't make changes because it's a new year. You should make changes because you want to, you need to, you have to. So, I'm going against my normal defiant "New Year's Resolution" attitude and going for it. Because, let's face it, these are long overdue. Ha! 1. Continue with my (for the most part) healthy lifestyle. This means continuing going to the gym 5-6 times/week, eating clean & healthy 90% of the time and tracking my food. 2. Blog more and make improvements. 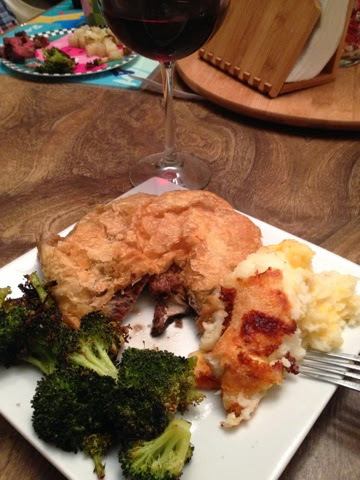 Both with this one and my recipe blog. 4. Organize, organize, organize! Both my house and my life! So, there you have it! Here's to a great 2015 full of health and happiness! Did you set any resolutions for 2015? I'd love to hear them! I can't even begin to explain how much I just loooooove Christmas! It just gets better and better every year! I love that we have our own little traditions as a family and look forward to continuing them as our children grow. Such a wonderful, magical time of year! Christmas Eve was busy with some last minute shopping and lots of food prepping. We had our traditional Christmas Eve dinner of Beef and Portabella Wellingtons and they were delicious! 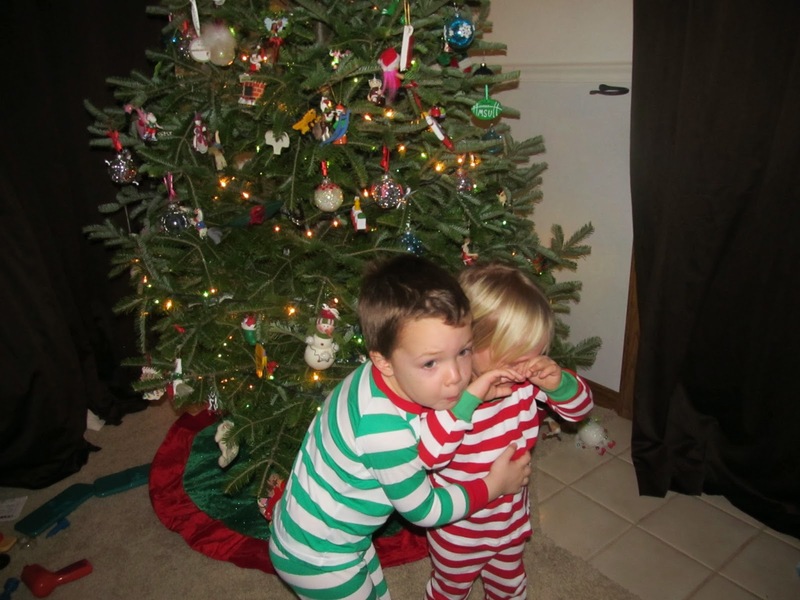 After dinner the kids got their gifts that they picked out for each other, Jason, and I all wrapped and under the tree. 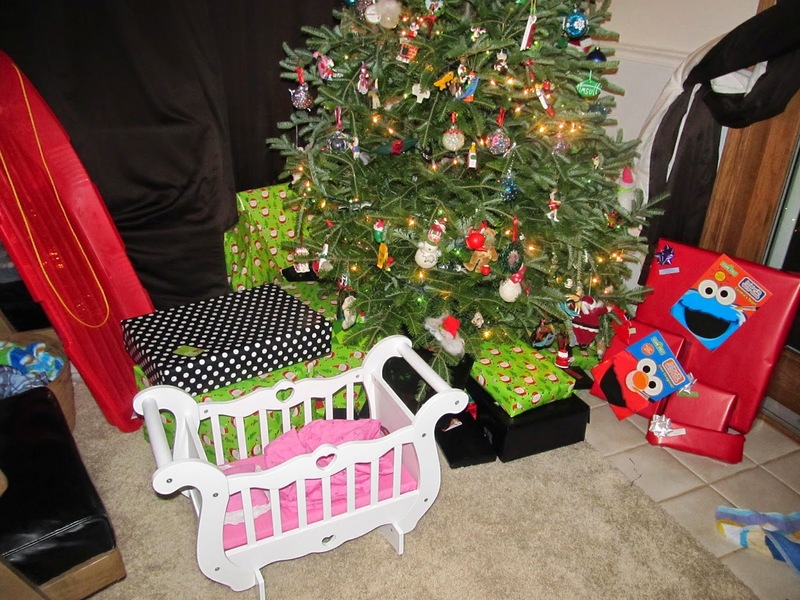 Then, it was time for one of my favorite traditions - putting toys the kids don't want/use anymore and putting them under the tree. 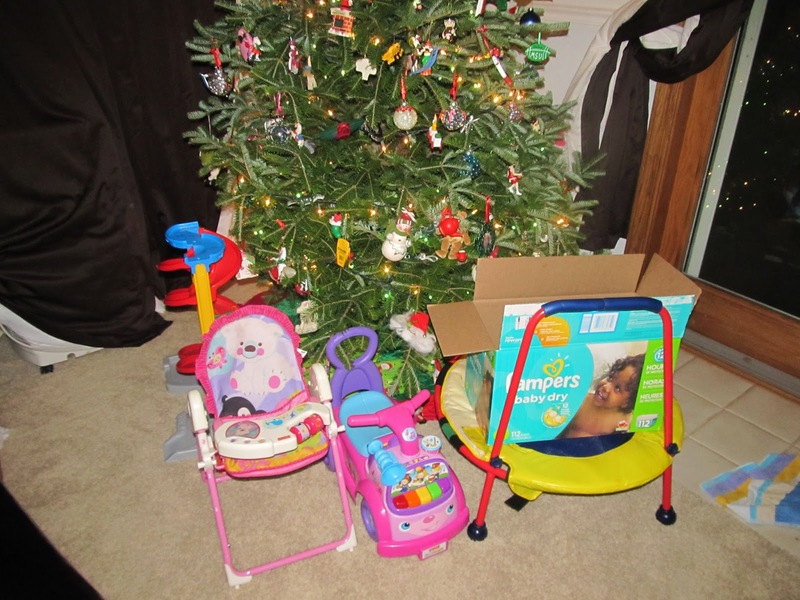 When Santa comes, he takes our used toys to give to kids who need them. Not only does it teach the kids a great lesson, but it also frees up some space in the house. They picked some big toys this year, too! Once the children were nestled all snug in their beds (see what I did there??) Jason and I Santa got to work! Every year I have every intention to not wait until Christmas Eve to wrap every present. And every year, I fail. There was a lot of wrapping going on. 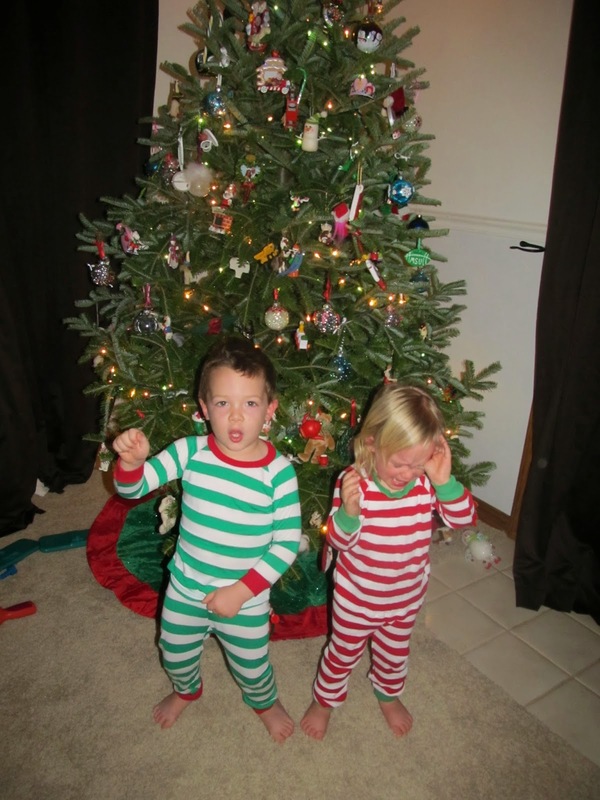 As well as a lot of side-eyeing and questioning just how much I spent on the kids. This is what happens when you don't give me a budget, dear husband! 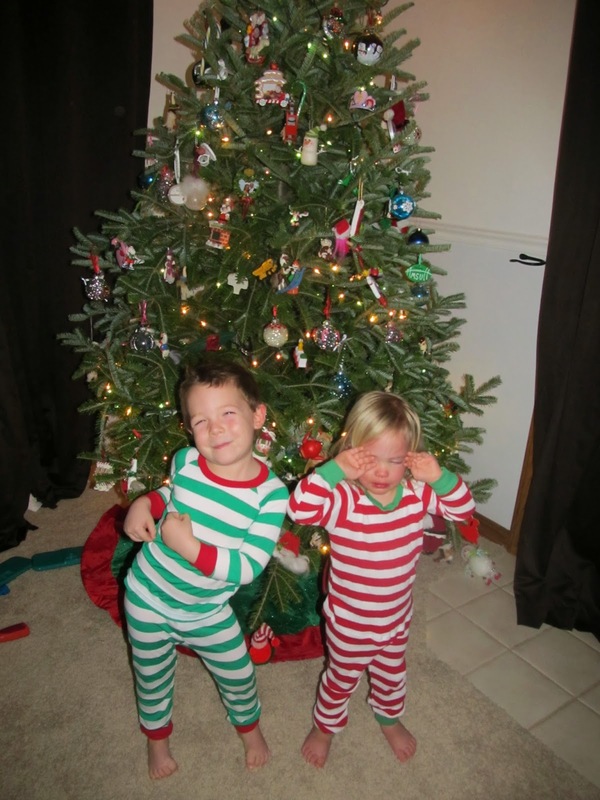 Alas, all the gifts were wrapped and put under the tree and we headed to bed. Who knew just how early we'd be woken up in the morning! Much to my surprise, I was woken up around 2 am......with a horrible stomach ache. Long story short, and I'll spare you the details, something I ate did not agree with me. Although I was conscious during gift opening, I don't remember much and had to make a few trips to the bathroom in between. Yes, my friends, I had the worst case of food poisoning ever on Christmas. It was absolutely awful. Jason and the kids loaded up and headed to my in-laws and I headed to bed. I literally slept all day long. From 9 am to 6 pm I was sleeping. Then, I went back to bed at 8 and slept until the next morning. So.Awful. Oliver stayed home with me and kept me company. He was happy to sleep all day! The worst part of all? I didn't take one single picture Christmas day. Not one! It took everything in me to just be awake while the kids were home so picking up my camera was the furthest thing from my mind. 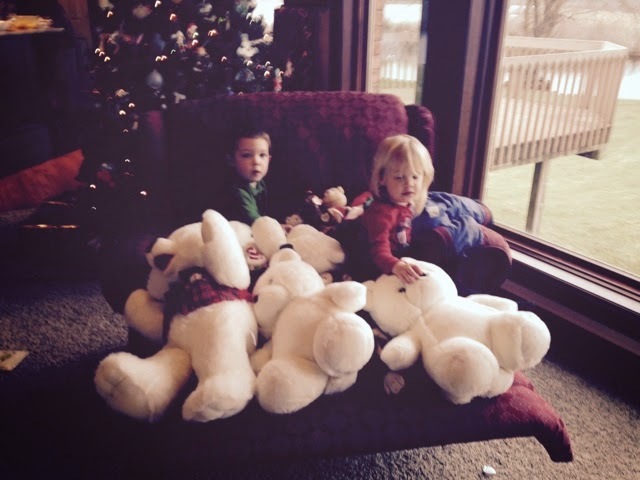 My MIL sent me one pic of the kids on their makeshift "sleigh". Apparently they wouldn't allow anyone but themselves and the stuffed animals on their sleigh.